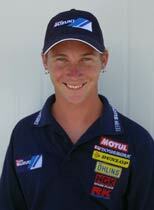 Talented young Victorian rider Craig Coxhell will join two-time defending Australian Superbike Champion Shawn Giles in a two-pronged Team Suzuki attack in 2003. "Team Suzuki provide a great package and they have given me a fantastic opportunity for next year to compete in the full Australian Superbike Championship on a GSX-R1000," 20-year-old Craig Coxhell said. "I'm looking forward to learning a lot from both Shawn and Phil Tainton, who are both extremely talented." Shawn Giles has signed for a further two years extending the successful partnership that has produced two Australian Superbike Championships and sees Giles currently leading the 2002 title by a massive 67 points. "We are delighted to be continuing this successful relationship with Shawn, he is an amazing rider whose feats are unrivalled in this country," said Perry Morison, Suzuki Australia General Manager Motorcycles. "I'm extremely excited about staying with Team Suzuki and Phil Tainton, especially as we will be racing the all-new GSX-R1000 that is lighter and has more power," said Giles..
"After the success we have had, there was no doubt in my mind this was where I wanted to stay and I'm looking forward to Craig coming onboard as my team-mate." Giles is currently leading the Shell Advance Australian Superbike Championship and with only one round remaining is looking to become the first ever rider to win three Australian Superbike Championships. 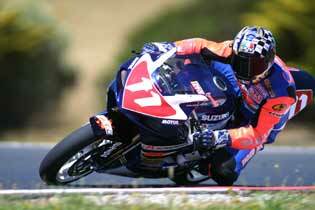 Aboard a GSX-R750 in 2000, Giles won the Superbike title and then joined a long list of riders internationally in 2001 when he was victorious on a GSX-R1000. The final round of the Shell Advance Australian Superbike Championship will be held at Eastern Creek on November 8-10, 2002.